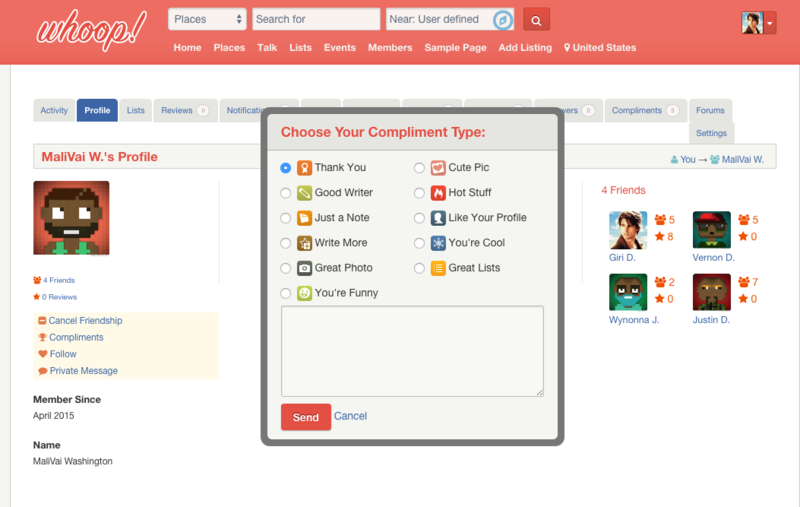 BuddyPress Compliments is a buddypress addon created by GeoDirectory. BuddyPress members can compliment each other using this plugin. 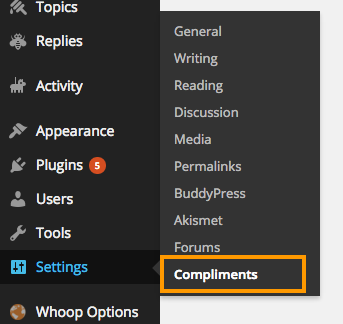 Note: As of now BuddyPress Compliments can be used only with Whoop theme. Other themes are not supported yet. 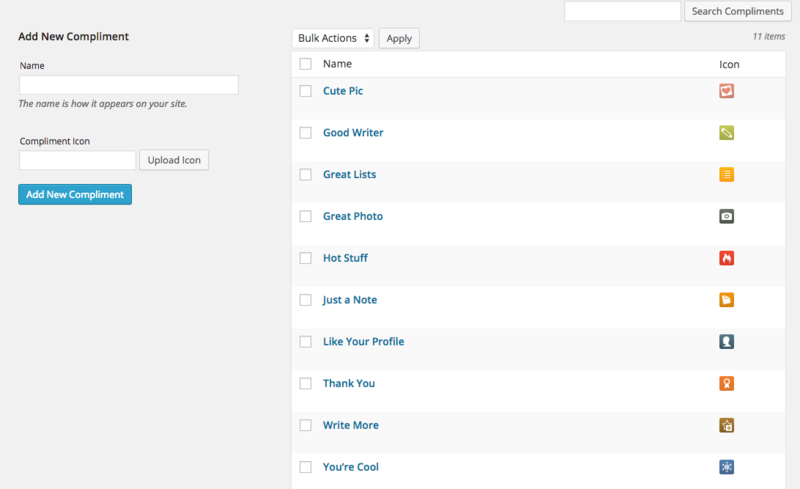 BuddyPress Compliments depends on the following in order to work. Please follow this tutorial, to install the plugin. You can add unlimited number of compliment types with icons. 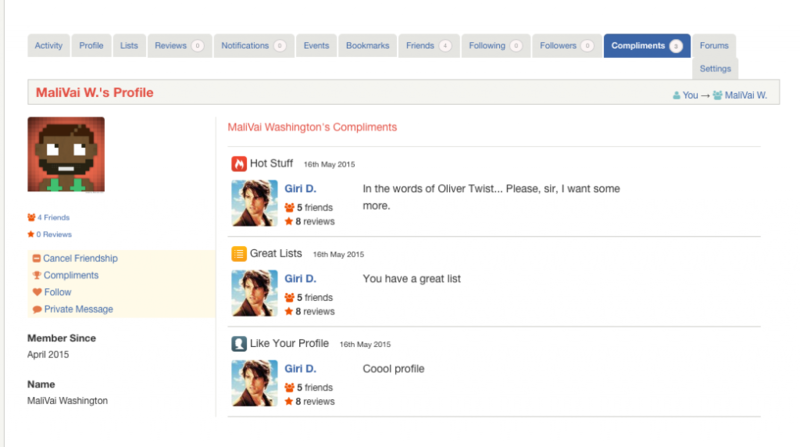 Here is the screenshot of compliment page where you can add compliment types. 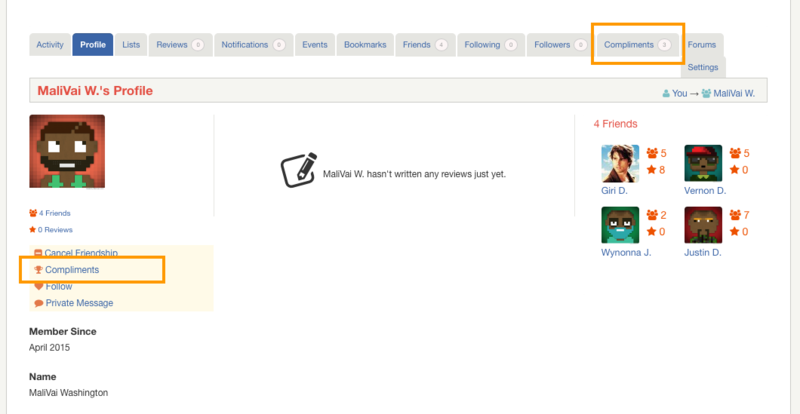 A Compliment button and Compliments tab are added to each profile page. ( Note: Compliments button will not be visible on logged in user’s profile page. When you click Compliments button a popup will be displayed with compliment types. Submitted compliments will be visible in user’s compliments section.